At a fundamental level, the current assortment of running shoes can be divided into two halves – one with a firmer medial post, and another without it. This categorization is commonly known and marketed as ‘stability’ (with a medial post) and ‘neutral’ (without a medial post). But when you begin to wade through the vast selection of stability shoes, you soon realize that you cannot paint each model with the same brush. Some stability shoes have a small medial wedge while others have a gigantic post which extends from the heel to the forefoot. And a few models do not even have a wedge. Then there are countless other variables such as the difference in the shoe weight, midsole softness, or the outsole footprint. Due to the sheer breadth of available features and models, stability shoes can be further divided into sub-categories. Some stability shoes exhibit a noticeable ‘motion-control’ behavior. This means that the outer midsole is easier to compress than the inner side. Then there are other stability shoes which feel like neutral shoes or lightweight trainers. They lack the prominent sensation of hardness which comes from the medial post. So why do ‘stability’ shoes exist? All brands which promote stability running shoes claim that the latter minimizes inward foot roll, and how only ‘over-pronators’ should wear the said category of running shoes. We’ve spent enough time discussing this subject in the past, so we’ll skip that today. Whether a runner likes a stability shoe or not is purely a matter of personal preference. Some like the sensation of a firmer medial post under the foot, and that’s reason enough to buy them. In the same vein, not all stability shoes are the same, so a subjective decision-making process will apply. We can help make your search less arduous by sorting stability running shoes into three different sub-categories. The first category is the most popular assortment of stability shoes. These shoes are your daily trainers with mild support features. The medial post isn’t very intrusive, and in most cases, you don’t feel it at all. The second category is max support. Here, the weight and dimensional considerations go out of the window, and brands build the most stable running shoe with no holds barred. Design features like an over-sized medial post, an ultra-wide outsole footprint, and a high shoe weight are commonly seen on such shoes. Lastly, there are lightweight trainers with a mild stability treatment. These shoes are fast trainers, but with a difference; the midsoles are fitted with a tiny medial-post. Asics remains one of the few remaining brands which offer many medially-posted running shoes. The GT-2000 7 is one of them; it is a mild-stability running shoe with a supportive ride. The Flytefoam midsole has a firm and stable ride, and the upper is conventionally built – nothing very fancy but gets the job done. Look ma, no medial post! This year’s Adrenaline is different, very different from the one it succeeds. 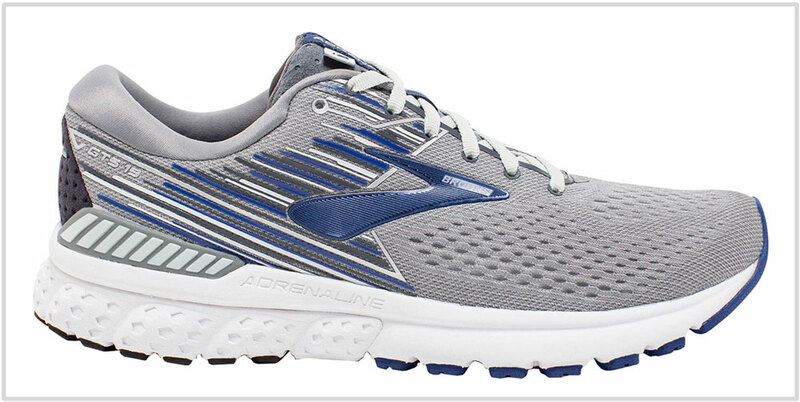 The Adrenaline 19 channels its inner Transcend and uses elevated Guide Rails instead of a firmer wedge. By doing so, the Adrenaline GTS 19 becomes a mini-Transcend of sorts. The new GTS is more ‘neutral’ while being supportive and cushioned at the same time. 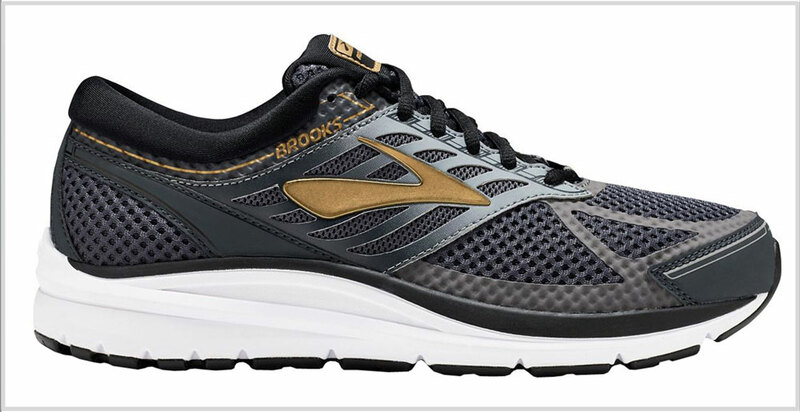 As most Brooks shoes are, the upholstery feels plush due to the use of premium materials all around. The GTS series has been solereview’s favorite mild-stability shoe for many years now. Also see: The Brooks Ravenna 10 – a scaled down Adrenaline GTS 19. The Inspire 15 is a mild stability shoe without a firmer foam wedge. Mizuno uses a variation of the TPE Wave plate to make the inner side more supportive. Still, the Inspire 15 feels very neutral, not very different from the Wave Rider 22. There’s plenty of room inside the upper without any sloppiness. The forefoot midsole has a wide base which helps increase the interior room and stability. The 860V9 has all that you expect of a traditional stability shoe. There’s a visible medial post under the arch, the outsole is generously covered with rubber, and there’s even a plastic midfoot shank. The outer midsole is softer than the medial side, yet it does not skew stability. The comfortable upper uses a mix of synthetic and mesh. Select colors are available in four different widths, so the 860 should be your go-to shoe for a fine-tuned fit. The Structure 22 has a very firm ride quality with a snappy forefoot. The rear midsole is made of firm dual-density foam and the front has a Zoom Air unit which makes toe-offs responsive. The upper fits smooth and holds the foot well – thanks to Flywire and the sleeve based construction. The Guide ISO is another mild-stability shoe with a firm ride. The ISOFIT upper uses split lacing loops to deliver midfoot grip. The firm medial post offers support without being intrusive. 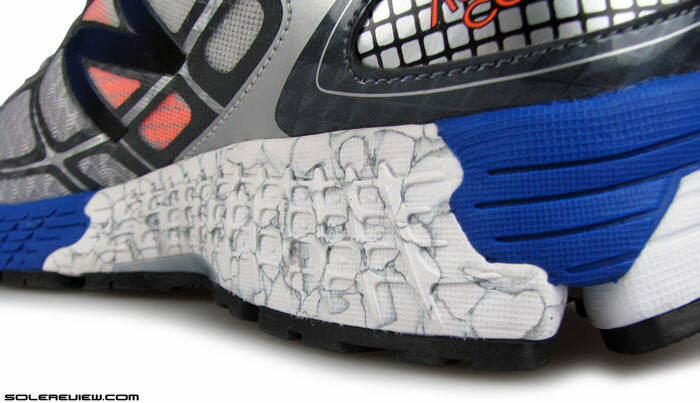 Saucony uses a sheet of Everun foam under the removable insole so the Guide is mildly responsive. Mind you, the Everun ‘Topsole’ is more effective here due to the firmer midsole underneath it. If you’re looking for more cushioning than the Guide, consider getting the Hurricane ISO 5. 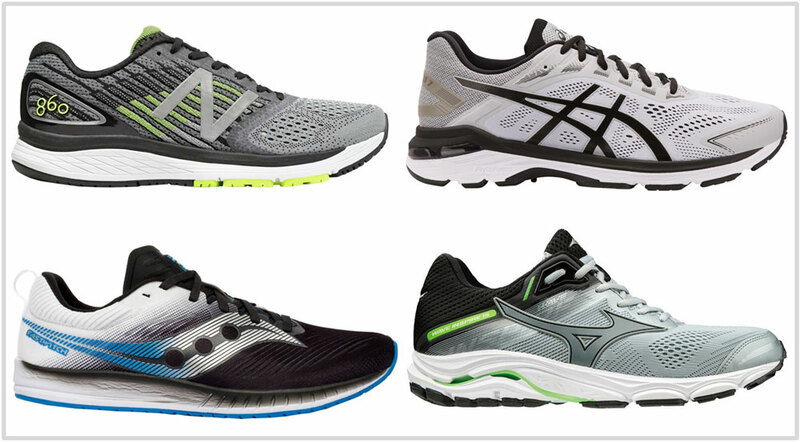 Which stability shoe features a 4 mm offset, no medial post, lots of cushioning, and a split outsole? It’s the Vongo! Instead of a medial-post, the Vongo has a raised inner midsole with filled-up Hexagonal patterns for support. The groove running down the center of the outsole helps center the weight and gives the Vongo a very directional feel. The Vongo’s true-to-size upper is fitted with an inner sleeve and soft trims for comfort and grip. 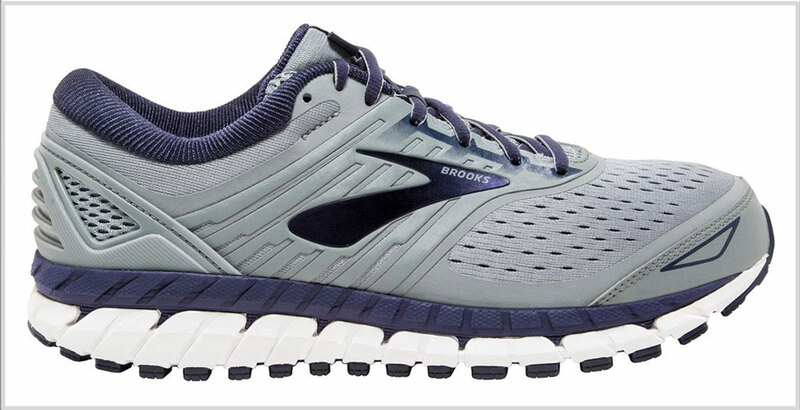 If there was ever a max version of a stability running shoe, the Brooks Beast ’18 is it. The ultra-wide outsole and a supportive triple-density midsole makes the ride very stable and cushioned. The upper is very plush, and the Beast ’18 fixes the narrow fit problem of the earlier versions. Still, the shoe is available in three widths if the standard fit falls short of your needs. At over 13 ounces, this is a very heavy shoe which works favorably towards its stable character. If one takes the price and the stability aspect into factor, then the Addiction 13 is on a rung lower than the Beast. That said, the Addiction 13’s broad midsole has all the support and cushioning you need. The mesh and synthetic leather upper has a traditional fit and feel with plenty of interior plushness. When the Transcend made its debut a little over five years ago, it was said to be an unofficial replacement for the Trance; the Transcend is anything but. Though the Transcend is sold as a support shoe, it does not have a medial post. The midsole delivers stability through its wide midsole, outsole, and raised sidewalls. 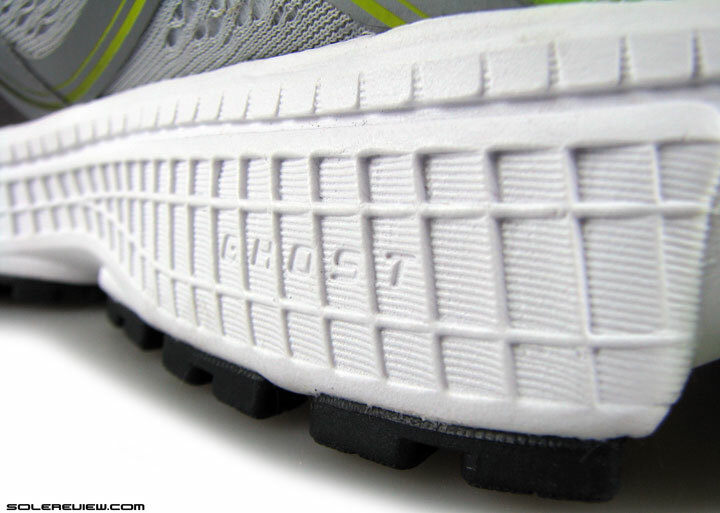 The Transcend also has a lot of cushioning despite its support categorization. Unlike the Beast and the Addiction, the Transcend sells in only a single width. Perhaps the raised Guide Rail design gets in the way of a 2E or 4E width? 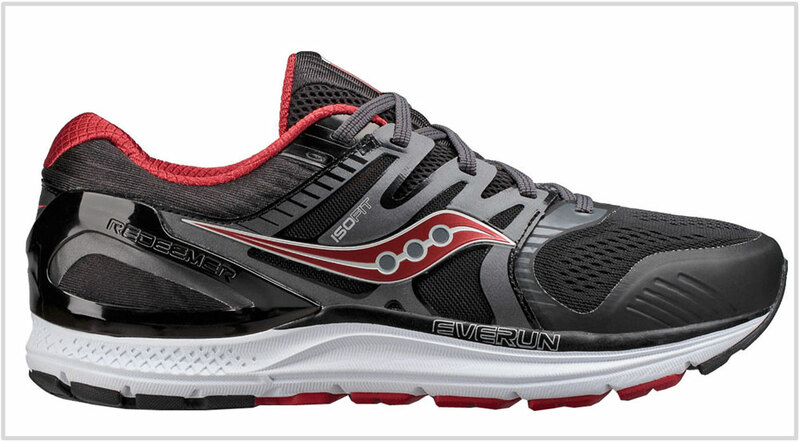 The Saucony Redeemer ISO 2 delivers maximum stability in a 12-ounce package. The wide outsole and midsole provides a planted and cushioned ride experience. An Everun ‘Topsole’ above the midsole creates a thin, responsive layer. The ISOFIT upper has an comfortable interior and an external support frame for the heel. Also available in a wide version. If you’re smitten with the adidas Boston but want greater medial side support, then the adizero Tempo 9 is just the shoe for you. The midsole is a mix of a firmer EVA foam component and Boost foam, a combination which delivers both cushioning and support. This lightweight stability favorite has been completely refreshed. The DS Trainer 24 gets a brand-new sole tooling and a knit upper. The good bits of the DS-Trainer series don’t change. The midsole has a firm and efficient ride quality and is soft-topped with an Ortholite insole. The snug upper fits smoother than the outgoing version due to the overlay-free design. The knit design doesn’t mean that the DST-24 is bereft of interior comfort – the heel collar and tongue upholstery get an upgrade. You’ll notice that the outsole no longer comes with dual-stenciled lugs. Even so, the forefoot still grips very well for effective push-offs. The New Balance 1500 has built quite the reputation as the lightweight trainer, and the shoe deserves it. As typical of most road racers, the engineered mesh upper fits snug and vents well. The Revlite midsole packs high-quality cushioning and the small medial post isn’t noticeable. The V5 gets a new upper and an outsole (the midsole stays the same) but it inherits the V4’s road manners in its near entirety. The Fastwitch is a breathable road racer with a tiny medial wedge for support. If the idea of a 4 mm drop racer with mild-stability entices you, then the Fastwitch 9 is the way to go. The Fastwitch goes through a design clean-up for its 9th edition. The end result is, ahem, a shoe which is closer to the New Balance 1500V5 than it is to the Fastwitch 8. So there you have it – another great road-racer with a tiny medial post. The Fastwitch 9 bumps its retail price up by $10 to $100, but it is still good value for money.